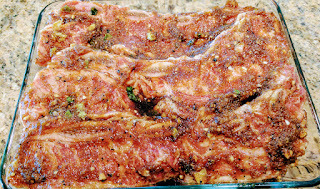 Korean Beef Short Ribs "Kalbi"
This kalbi recipe is passed on from my Korean mother-in-law. 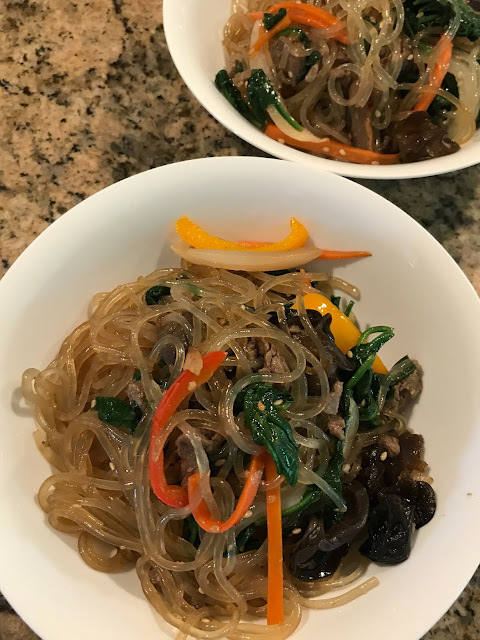 She is a wonderful women who at the age of 70 still makes it a mission to stock our fridge with delicious Korean food including kimchee, bulgogi and chap chae! 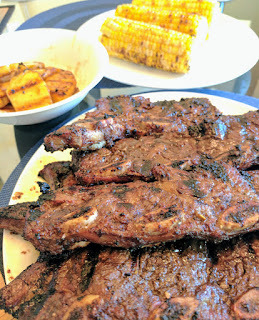 Kalbi is tastiest when grilled on the barbie and this is a top-notch recipe of hers, enjoy! 10 lbs beef short ribs "kalbi"
Wash the ribs two times with cold water to remove the bits of bone and loose pieces of fat. In a high powered blender or food processor, puree the onion, pear/apple, whole black peppercorns, and garlic. 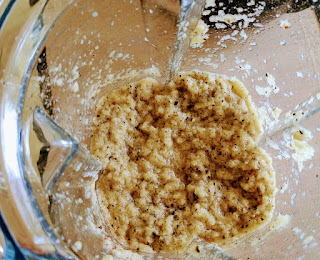 Mix together all the other ingredients in a large bowl, add the pureed ingredients. Mix the beef short ribs to the marinade and ensure the beef is well covered. 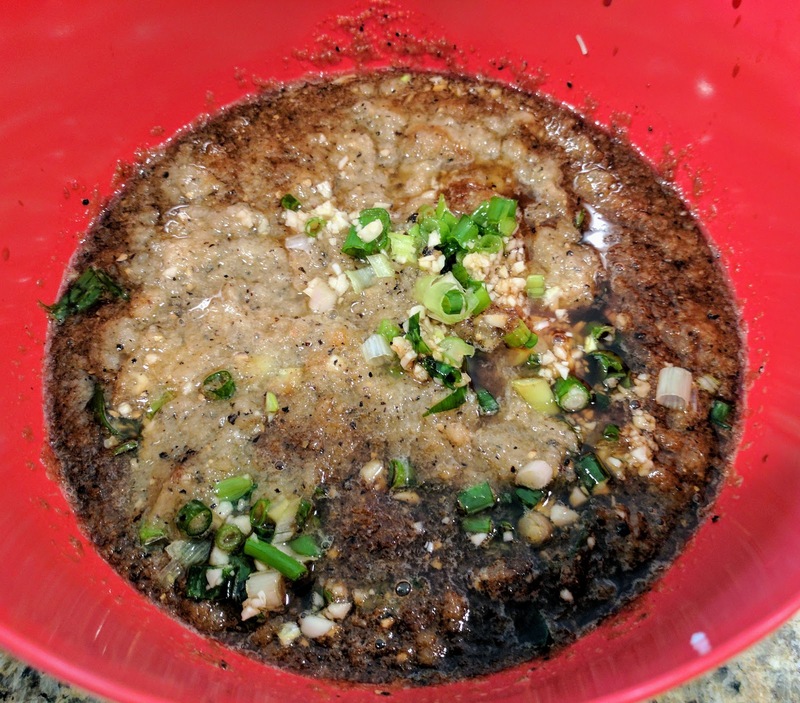 Place in the fridge overnight to marinate. Barbecue the ribs for best results. 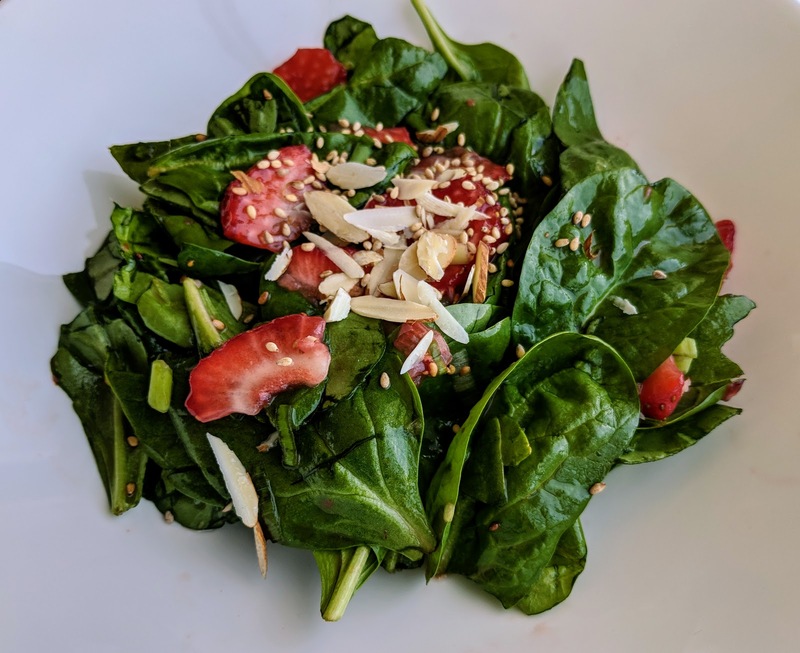 Alternatively, bake in oven at 375F for 35min. Uncooked ribs can also be frozen (up to 3 months, longer if using vacuum sealer for meat) for future use. 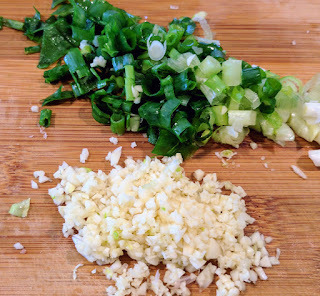 Puree the garlic, onion, apple and whole black pepper in a high-speed blender. Add all the other ingredients to the pureed marinade.